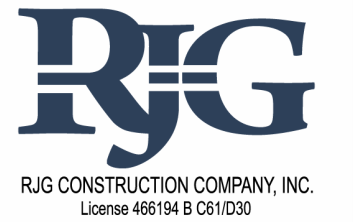 ﻿I﻿n 1988 RJG Construction, Inc. realized that an alternate method of underpinning would be needed due to the extreme expense of conventional steel and concrete methods. It was soon determined that helical piles, which had long been used by the utility industry as a method of guying power lines and transmission towers would be the perfect alternative as an underpinning method. Helical anchors are a pre-engineered system and are designed for tension and compression application, under some circumstances lateral loading can also be designed into a helical pile system. Over the past 25+ years helical piles have become a preferred method of underpinning which has resulted in a vast increase in contractors now exploring the attributes of this system. RJG has installed helical anchors manufactured by every major provider over the past 25 years, however we rely upon anchors provided by MacLean Dixe, LLC. , a subsidiary of MacLean Power Systems to fill our underpinning, tie-back, and soil nailing needs. MacLean Dixie anchors are the only anchors manufactured today that have both square and round shaft anchors listed in their ICC-ES evaluation report # 3032. 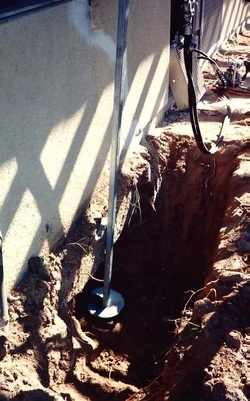 Additionally, MacLean Dixie anchors are approved by the city of Los Angeles for use in remedial foundation repair under LA City research report #RR25629. Helical anchors are a perfect repair method to stabilize and/or lift and level a settling or rotating masonry fire place. Such an application can typically be completed in one day and typically affords the client a 50% or greater savings over replacement of a fire place. 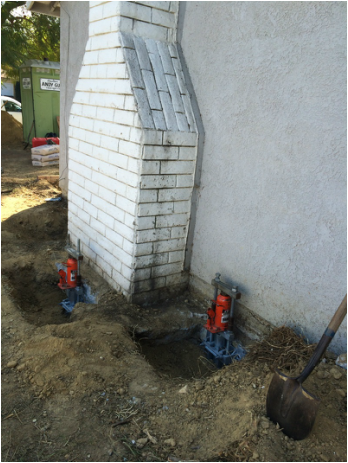 Installation of a helical anchor to support and level a typical single family residence.